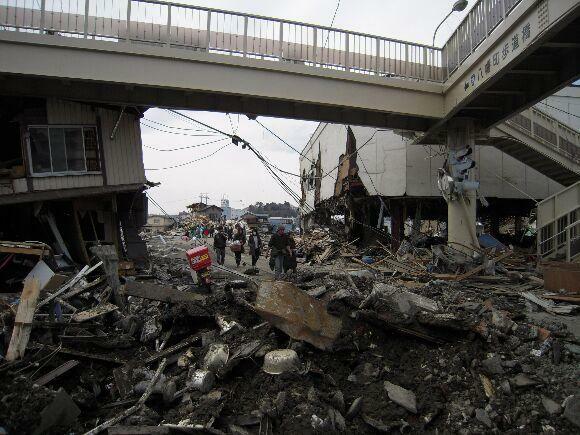 Stop　Hamaoka　Nuclear　Power Plant! 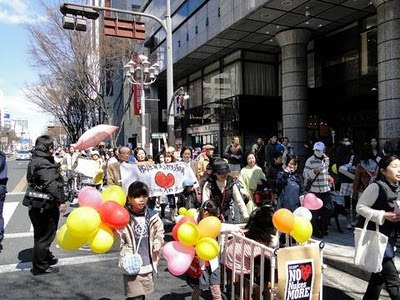 450 march in Nagoya. 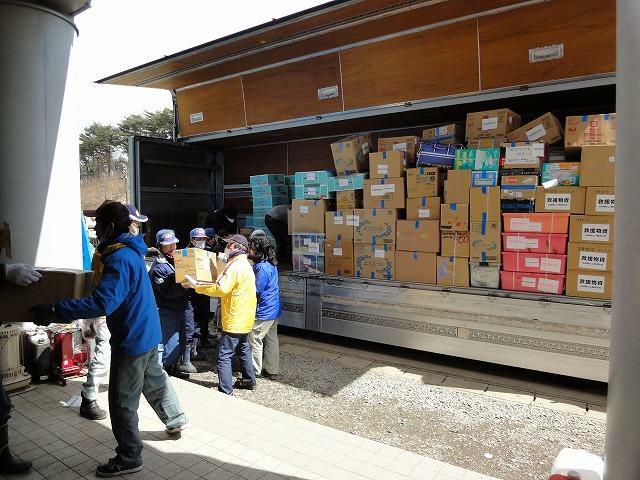 This is a report of our relief activities in the town of Minamisanriku, Miyagi Prefecture. 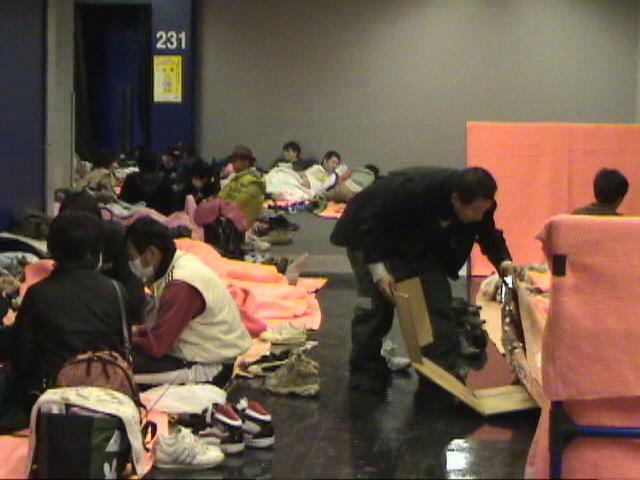 Our union, Zentoitsu Union, and the Solidarity Network with Migrants Japan set up a“Relief team without a name”to support tsunami survivors, especially migrant workers. The team sent its first load of relief goods on March 20. The next load was sent on March 27 with a 10 ton truck. A volunteer acupuncturit was on the truck to care the survivors. The acupuncture service went on for four hours and the patients were eager for another service next week. There were two moving encounters. 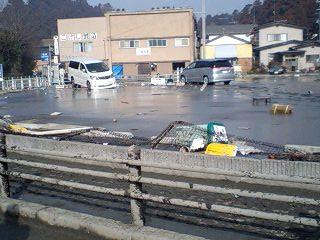 We were able to find out and meet the ex-president of the union local at Shizugawa super market. This relief activity started from concerns for his safety. 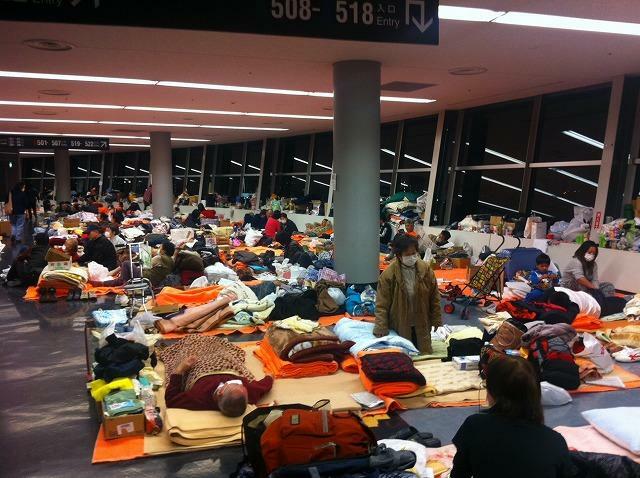 Second, we met a group of thirteen Filipinas, who were helping to sort out the relief goods. They all lost their living by tsunami. We were able to get information of other foreigners living in the local community. 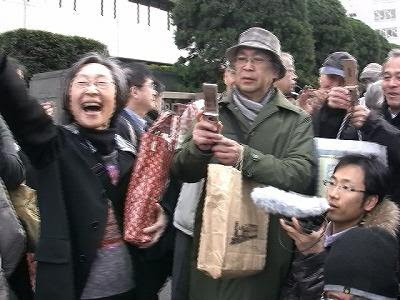 A 63 years -old male evacuee from Futaba-cho, near the Fukushima nuclear power plant, expressed his feelings at his evacuation cite at the Saitama Arena. 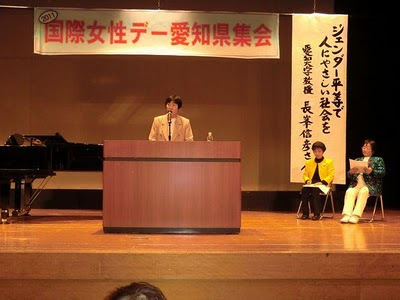 “I used to work for a major enterprise in Iwaki city until 58. 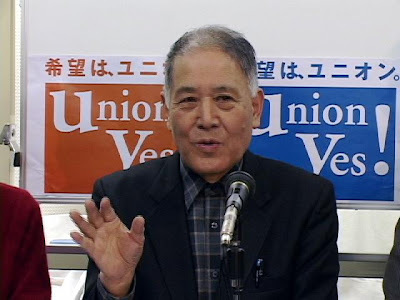 I was a union official there, but retired earlier than the fixed retirement age of 60 and went back home in Futaba-cho to work in the paddy fields. I wanted to stay there, because I’m old enough not to care about the radiation. So I had my grandchildren and their mother leave, but I didn’t move. There were three others who said they will stick to the last, but we were forced to evict by the self defense force. I was raising cows, so it was hard to leave them behind. 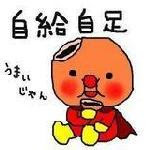 I’m through with TEPCO. There is no easy way to reconstruction. We won’t be able to sell vegetables even if we could make them. Quake Hotline to protect jobs - unpaid layoffs spread nationwide! Individual-affiliated unions across the nation set up “Quake Hotline to protect jobs” on March 26 to cope with the spread of unpaid layoffs after the East JapanGreat Earthquake. Nagoya Fureai Union was in charge of Aichi Prefecture and received 24 consultations related to the Earthquake. A part-time women worker complained that her employer told her to take a leave of absence and wait for a recall, butdidn’t call back, so she couldn’t pay her rent. 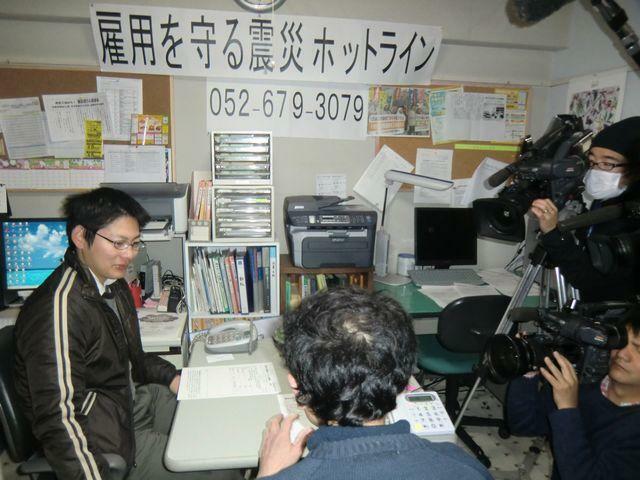 A temping agency worker was told that he would get paid only for the days he had worked and could not make ends meet.All these claims were from areas not affected by the earthquake and their employers were not suffering direct damage from the quake. 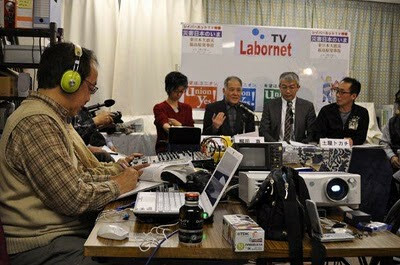 Fukushima nuclear plant “is in a fairly dangerous sate,” Makoto Yanagida, representative of Tanpopo-sha, said on Labornet TV on March 17 as he explained other issues related to radiation and evacuation in simple terms. 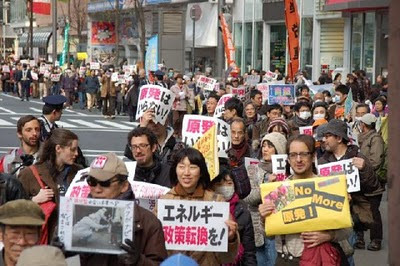 1200 Protest against TEPCO and the Government in Tokyo: No More Nuclear Power Plants! 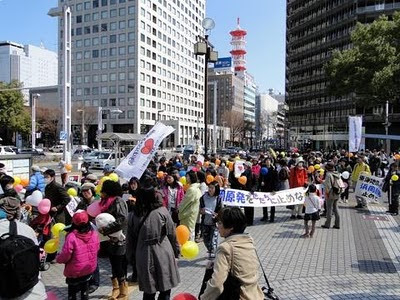 A protest was held against the government and Tokyo Electric Power Company on March 27 in response to the crisis at Fukushima nuclear power plant. It was the first protest ever where protesters demanded that all nuclear power plants be closed. 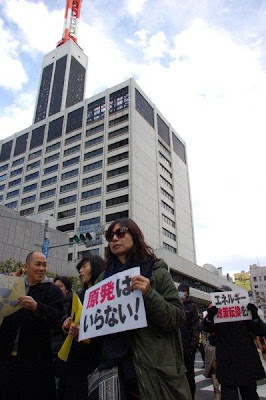 LabourNet Japan has posted a Youtube clip of the protest (English subtitles available). Footage taken by Masanori Yumoto, Communications, LabourNet (4 mins 16 secs in length). We would also like to hear your opinions or suggestions.